يحظى فندق شقق سنترال دوكسيد بمكان متميز في محور المدينة والاستمتاع بـ الحياة الليلية, مطاعم, رياضات في هذه المنطقة الفاتنة. يجذب هذا الفندق ذو 4 نجوم، والذي يبعد 4.1 KM فقط عن وسط المدينة و 20 KM عن المطار، الكثير من الزوار سنوياً. يوفر الفندق بفضل موقعة الجيد وصولاً سهلاً إلى أهم معالم المدينة.
. يعمل شقق سنترال دوكسيد على ضمان إقامة مريحة لضيوفه من خلال خدماته الممتازة وحسن ضيافته. لضمان راحة ضيوفه، يقدم الفندق الخدمات التالية: واي فاي مجاني في جميع الغرف, متجر, خدمة سيارات الأجرة, تسجيل وصول/مغادرة سريع, تخزين الأمتعة . استمتع بوسائل الراحة الراقية في الغرف أثناء إقامتك هنا. بعض الغرف تتضمن تلفزيون بشاشة مسطحة, اتصال لاسلكي بالإنترنت, اتصال لاسلكي بشبكة الإنترنت (مجاني), سياسة التدخين - غرف لغير المدخنين متاحة, مكيف هواء لمساعدتك على استعادة طاقتك بعد يوم طويل. صممت خدمات الاستجمام في الفندق والتي تتضمن مسبح خارجي لمساعدتك على الاسترخاء والراحة. يشكل شقق سنترال دوكسيد بخدماته الراقية وموقعه الممتاز، قاعدة مثالية للاستمتاع بإقامتك في المدينة. يعمل مكتب الاستقبال من الساعة 08:00 صباحًا إلى الساعة 08:00 مساءً من الإثنين إلى السبت ومن الساعة 08:00 صباحًا وحتى الساعة 04:00 عصرًا أيام الأحد والعطلات الرسمية. I would highly recommend the Central Dockside Apartments. The staff were professional, friendly and very helpful. The property had great views and was very conveniently located. We could not have asked for a better property for our purposes. 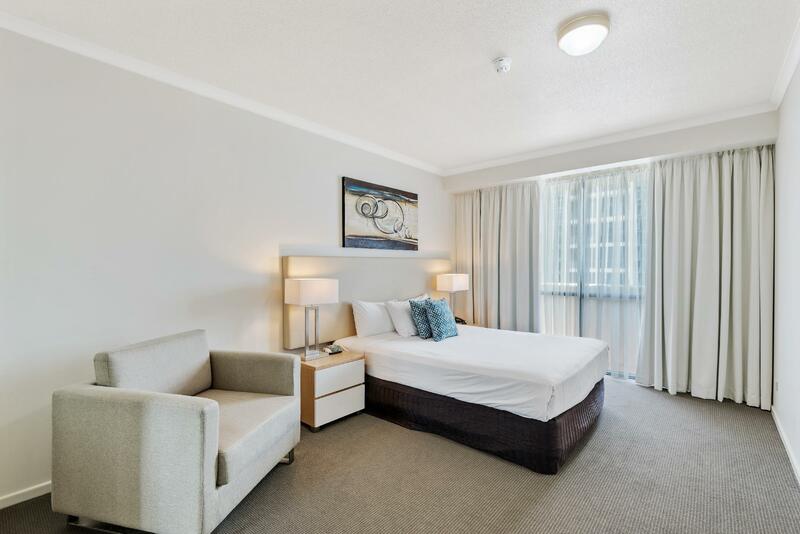 Apartment style room was spacious and clean with great view of city, river and surrounds. The hotel does not have on-site car parking. Not a major hassle as hotel has arrangement with a private car park located 100m away. Overall, very satisfied and will book again when required. Only Limited free WiFi . No on-site cafe . Only starter kit for shampoo etc supplied though v stayed for 10 days. Strictly no inbetween cleaning provided even with longer than 7 days stay. Need to pay extra 4 car parking . Also extra charges for cleaning services. I stayed at Dockside for three nights with my 7 year old daughter and loved it. Its a very basic hotel in terms of the services it provides - currently no bar or restaurant - but the room rates are very reasonable and the location of the hotel provides some very decent views out over the river. The only downside we could see was the lack of any on site food - although there is a small restaurant nearby. We ended up using Deliveroo for a wider choice of child friendly items. I would definitely recommend the hotel to others. The staff were so indifferent.I have stayed there many times before where the service was exceptional but the Management has changed. There was a receptionist who was SO Rude.When you ask him a question the stock reply is "I dont know. If you want to complain speak to the Manager" For my entire stay of 12 days. the Manager has never been available.The apartment was not cleaned for 11 days! Mind you the Hotel was hardly occupied. No Wonder! We spent three nights at Central Dockside and wished it had been longer.The room was immaculate and well appointed.Living area was a little small for a family of four but outside balcony was very spacious.The outstanding feature was the view over the river.It was spectacular! The free ferry to the CBD and Southbank stopped right outside our door.We will certainly be back. Excellent value for money. Great views of the city. Great size balcony. Good size apartment with comfy beds and good size bedrooms with plenty of storage. There was a free city hopper ferry that stopped on the river by the side of the complex which took you to the city. No downside to these apartments. Not 5 star digs, but great value for the cost, plenty of room, great location. Easy walk to one of the best pubs in Brissie. Well worth the stay if travelling with family, or for business trips. 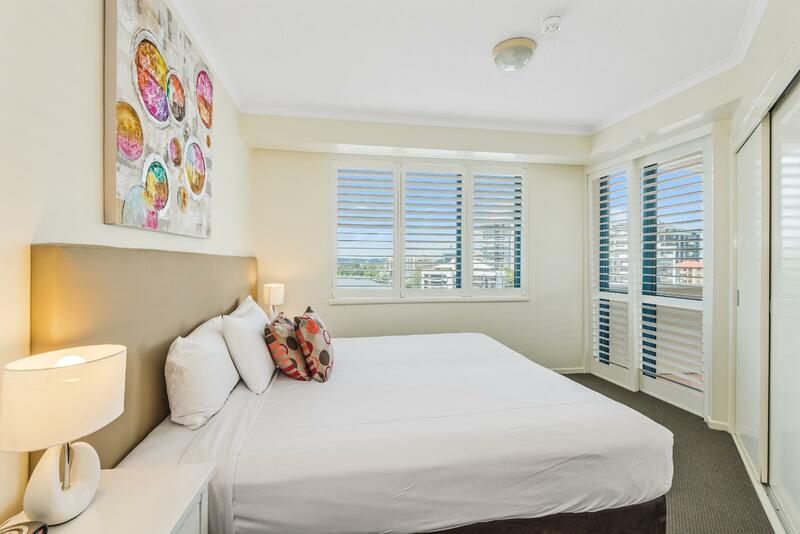 It is very close to the the Dockside Ferry Terminal (3-minute walk) where you can hop on the free city hopper which is a very convenient way to travel to The South Bank park complex, where there is a beach and cafes, it is 2.4 km from Queensland Museum. The hotel apartments are bright, have full kitchens, private balconies and washer/dryers. Wi-Fi is also available. 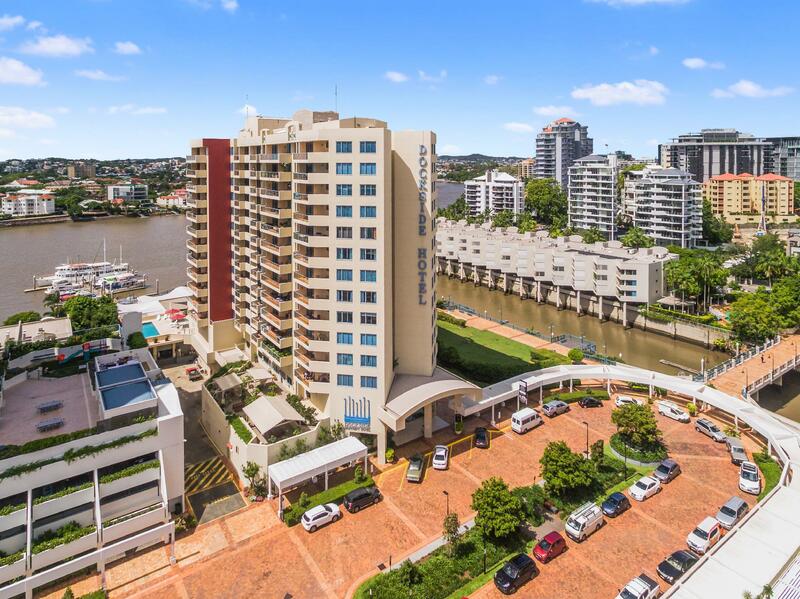 The unit I occupied units had skyline and water views of the Brisbane river including a view of the Story Bridge.There is free secured parking is provided, and the outdoor pool has a furnished sun deck and a BBQ area. There's also a casual bistro, as well as 3 conference rooms. The staff at The Cove Bistro n' Poolside Bar Cove cafe on the 1st floor are delightful and friendly. The security provided is very good, lift and room access by card only. I would highly recommend this apartment hotel. The location, the apartment view and friendly staff. Our arrival at the hotel was greeted by friendly staff and the rooms were ready for check-in. We were fortunate to be allocated an apartment with the balcony facing the Brisbane river and it was such a nice view. During the nights after certain hours, access keys had to be used to gain entrance to the hotel door. We had some issues but that was quickly taken care by the maintenance staff the next day. The apartment itself was in a respectable condition and had rooms that were comfortable. There are also cooking facilities for those who wish to whip up simple meals. There are also washing machine and dryer in each apartment so its really convenient even if you bring less clothings. However unlike other hotels, you have to clear out the rubbish and wash your towels as there is no room service to clean the rooms daily. We had a pleasant stay at this hotel which has easy access to free City Hopper ferry and Citycat. It's also close to a cafe and convenience store. Our one bedroom apartment was clean and comfortable though I found the air conditioning a little hot even when we turned it down. The rooms are very spacious but perhaps some updating of bathroom and balcony decore is needed now. Hallways and lobby are very nice and again very spacious. Staff were nice and free fruit and papers are a bonus. If you're not too fussy for a 5-star experience and just need a comfortable space, this is perfect. 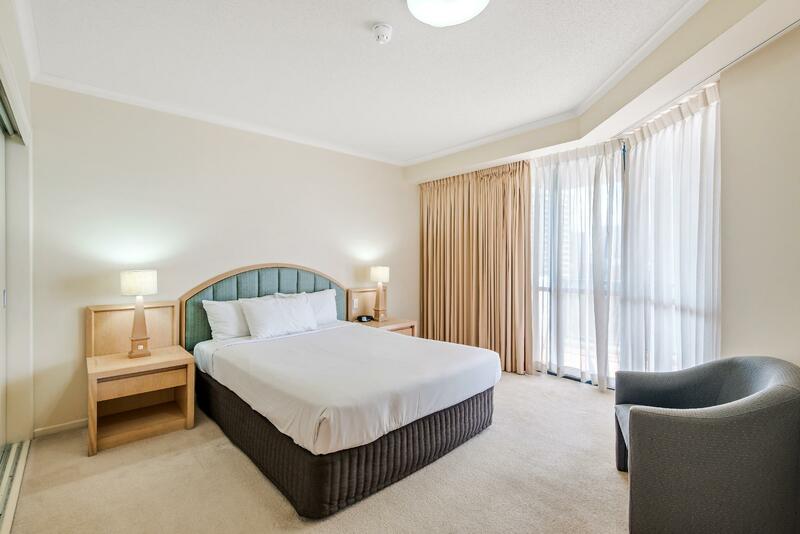 The rooms are quite spacious and the beds comfortable. Best of all is the living area and laundry so if you are having a long stay, that works out fine. It was lovely and clean and well maintained. My only complaint is that some of the furniture could do with an update. The lounge chair doubled as a bed and was starting to fray/fall apart and when sat on it sucked you into its depths. The stay at the Central Dockside Apartments was good however the communication from the Hotel before arriving was not that good. We travelled from Shanghai and arrived early evening only to find no staff at reception and also locked doors -- it took awhile to work out what to do and it would have been nice to have been informed about the process before arriving --- especially as I had emailed the hotel before travelling but no response. Apart from that poor start the room furniture was a little bit tacky and the kitchen was under stocked with plates etc ( especially as we were dealing with a 15 month old baby) -- for the price we were paying. Staff when on duty were helpful and the location was ideal for what we were doing. 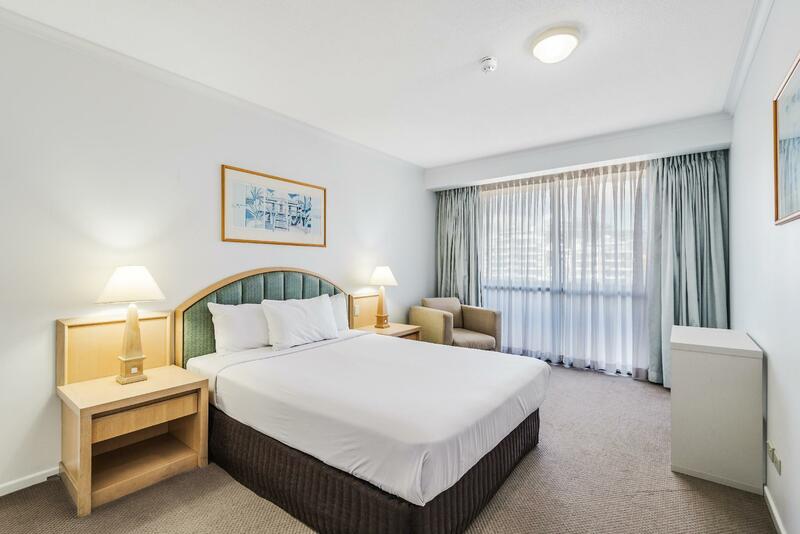 This hotel is well located and serviced by the ferry to the centre of Brisbane. Great location, positioned on the river with a 5 minute boat ride to City Centre.